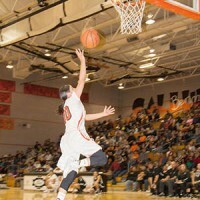 The night of Feb. 4 was a special one for the Gallup girls’ basketball program. 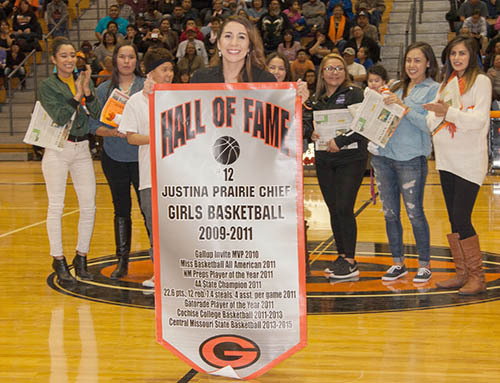 Coach Turner welcomed back players from the 2011 team to honor their achievements and induct Justina Prairie Chief into the Gallup Hall of Fame. She became the first player to receive this honor, which was previously reserved for coaches. 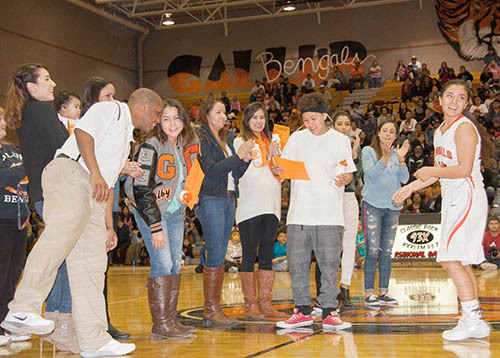 The ceremony occurred at halftime of the game against Miyamura, and the current Bengals welcomed their alumni with a 51-15 lead at the break. The Gallup dance team also gave an impressive performance at the start of half time, just before the 2011 team strolled onto the court. Before announcing Prarie Chief’s Hall of Fame honor, Coach Turner had another surprise. 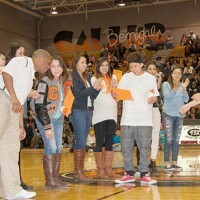 He pulled out a stack of newspapers he had saved from March 2011 when the girls won the State Championship. “These papers are as old and crusty as you are,” he said to the girls before handing them out. Coach and former players shared hugs and laughs as the ceremony wrapped up and halftime came to an end. 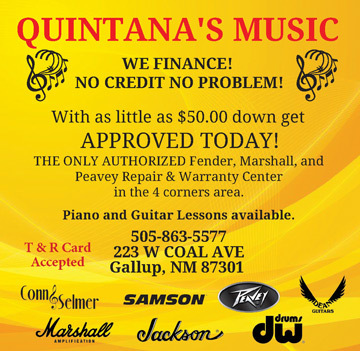 Gallup High defeated Miyamura by a landslide, but it was honoring an old school hero that really got the fans on their feet. 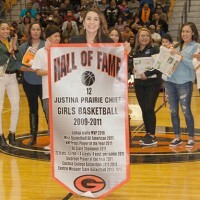 Prairie Chief came to Gallup High the same year Coach Turner became the girls’ team coach, so they were integral to each others success. 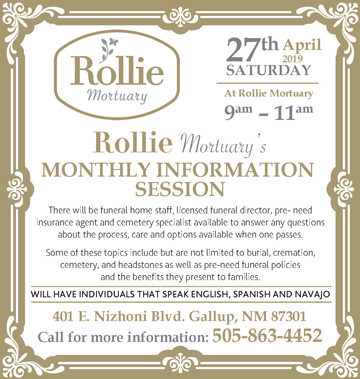 In her senior year at Gallup, she was NM Preps Player of the Year, Gatorade Player of the Year, and a Miss Basketball All American. 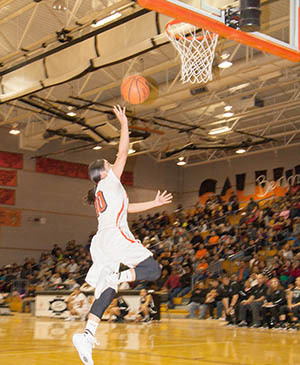 Prairie Chief went on to play college basketball at Cochise College and Central Missouri State, graduating from the latter in 2015.